Whether it’s turntables or BMW’s I usually get asked the same question, but with a slightly different variation on the theme. “You can only drive one,” or “you can only play one record at a time.” But it’s not about that. 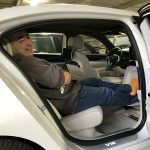 Rob Siegel, known to BMW lovers world-wide as “the hack mechanic” describes his need for a fleet of cars in a categorical manner – daily driver, spouses car, garage queen, restoration project, etc. While I agree with this method of sorting, my love for multiple BMWs (and turntables) is slightly different. Discussing this very subject with Jerry Seinfeld, years ago at the Barrett-Jackson auto auction, he said that having such a deep Porsche collection allowed him to intimately experience the subtle nuances in the evolution of the marque. The fellow handling his fleet told me that it was not uncommon for Mr. Seinfeld to drive 8 or 10 cars in a single day. Seinfeld chimed back in saying how much he loved going from the first 911 made (yeah, he’s got that car) to other vintages, and keying in on certain mechanical and styling differences – as well as the similarities. 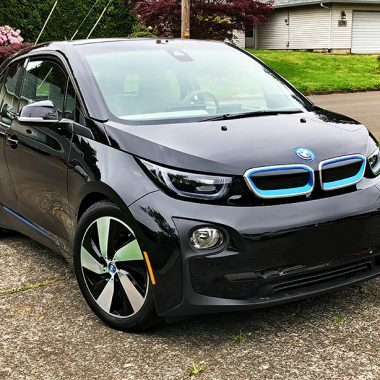 BMW is very similar (at least to me) to Porsche in the sense that unlike Corvettes (that change fairly regularly between generations) they share more of an evolutionary development. 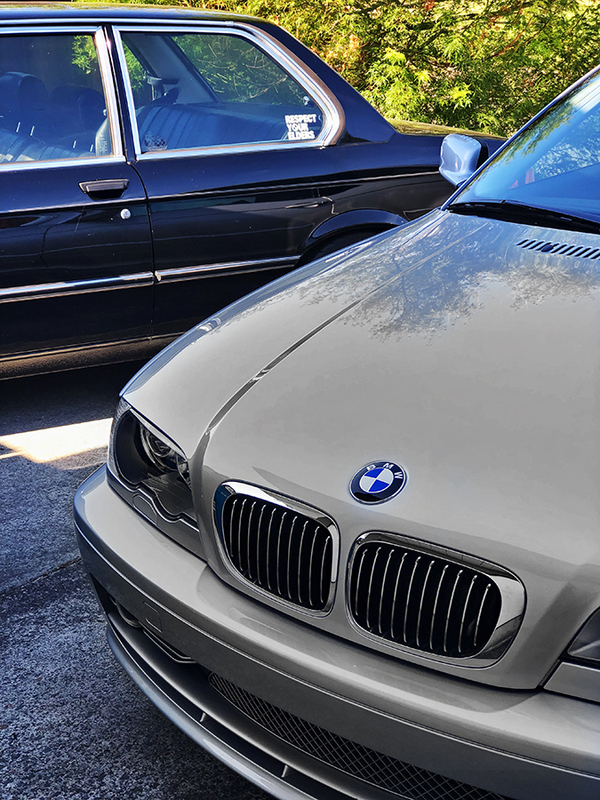 Both manufacturers have created multiple power plants over the years, but I think if you asked most BMW or Porsche owners what stands out, they would answer “the six.” Both share equally distinctive interior and exterior styling cues as well and that’s what makes owning a number of BMWs from different generations so much fun. At least for me. 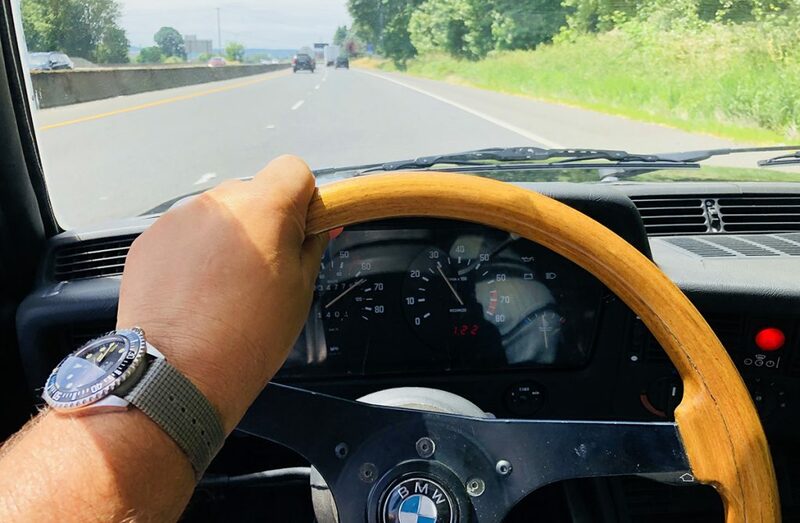 I love starting out a Sunday morning with a drive in the e21 and the e46, noticing the incredible amount of difference between the two, both in driving feel and refinement. Don’t worry, an e30 or e36 is on the way to fill in the gap somewhat. Between these or the e91 wagon, there is a world of difference between the current M235 and M240 X-Drive cars. Though only a year sets these two contemporary cars apart, there is a world of difference, even down to the way the 8 speed automatics run their shift program. And the i3 still feels like a car from the future. Yet underneath it all, there is more in common with these cars than there is different. You’d never mistake one for an Audi, M-B, or anything else, even the X-Drive car. Much like Pokemon, unless you’re Jerry Seinfeld or Jay Leno, you probably can’t catch them all. 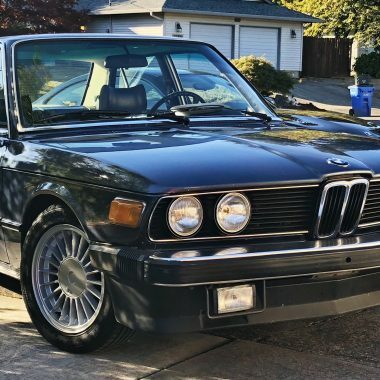 If your life only allows you the time and space for a single BMW, or you are new to the club, if you really enjoy your car, try and get a ride in a few earlier models if you can. It may just open your mind to the idea of owning another. we’ve added an e30 convertible, an e12, and an old friend, the Z4 returns. Stay tuned.